The term "Aztec people" is used to refer to various ethnic groups who spoke the Nahuatl language and inhabited central Mexico before the European colonisation. The ethnic group that dominated other groups and established the Aztec Empire with its capital at Tenochtitlan is called the Mexica people. Other than Mexica people, people of various other ethnicities are also included in the Aztec people. This includes such ethnicities as Acolhua, Tepanec, and others. Originally, the Aztecs used "aztec" as an umbrella term to refer to several ethnic groups who spoke different languages and dialects of Nahuatl. The Aztec society was a military society since the expansion of the empire depended on military conquests. Thus men were considered valuable and enjoyed a superior status than women. At a young age, all men were given the basic military training after which they could choose their own profession. Aztec men could take several wives but a grand wedding ceremony was the privilege of only the first wife. Aztec men spent a lot of time on the battleground and one of the surest ways of achieving glory and acclaim in the Aztec society was to impress others on the battlefield. Men also indulged in various other professions such as agriculture, trade, hunting, and others in order to fulfill their responsibility of providing for their families. 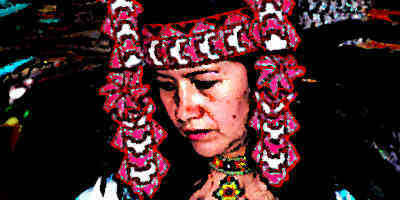 The status of Aztec women in Aztec society was subordinate to men, although they enjoyed various rights and freedoms. Her traditional role was to run the house and look after the household chores. Aztec women did not wear any make-up since it was reserved for prostitutes. However, they adorned their clothes with bright colors and used various kinds of jewelery. Women got into arranged marriage in their late teens or early twenties. The men, instead of going directly to her father, would ask for her hand at the city council. An Aztec women’s marriage affairs were then decided by the elders of the family and the extended kinship. While the main role of Aztec women was to take care of the household, she could also indulge in trade at the marketplace. 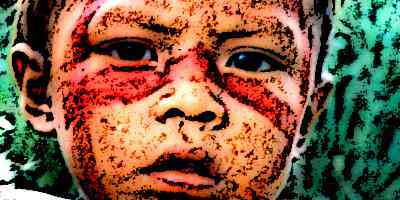 Aztec children were given an compulsory education during their early teen years. This education was different for common children and the children of nobility. They were educated in basic military education and farming while the children of the nobility could study other subjects such as astronomy, medicine, mathematics, and religion. The local school for the children of merchants, peasants, and artisans was known as “Telpochcalli”. The schools for the nobility were called “Calmecac”, although some children of the merchant and peasant classes could also go to these schools if they had exceptional abilities. The family elders of Aztec society were given particular importance within families and in Aztec society. The wise elders of the Aztec family and society were called “Ueuetque”. These were mostly those people who had either escaped death on the battleground or death from illness. These elders would be consulted in the city councils and their advice would also be important within a family. Their ageing and death were of religious importance to the Aztec’s and various rituals would be undertaken upon their death. 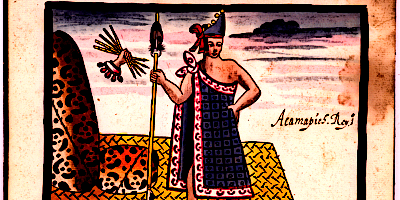 Aztec society was based on various social classes. These classes were the nobility, the common people including the petty peasants, and the slaves. Nobles in the Aztec society were people who owned land and played important role in the administration of the empire. The nobles also commanded the Aztec army . Their power was based on land, labour, and the tribute received from the subjugated city-states. Broadly speaking, three ranks of the Aztec nobles were of Tlatoani meaning rulers, Tetecuhtin meaning high lords, and pipiltin meaning the regular lords. The privileges that the Aztec nobles enjoyed were specified by Aztec law. The upper class of the Aztec society, other than the landowning nobility, also included the warriors and priests. 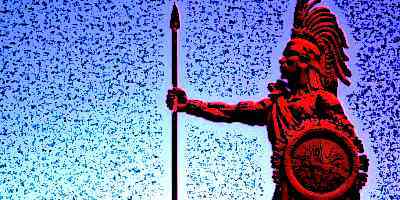 Aztec society was a military society and warriors enjoyed very high respect in society and many privileges. Emperors awarded the warriors with land, rank, and wealth and thus achievement on the battleground became one of the most important ways of upward social mobility for the common people. The class of priests and priestesses had various responsibilities such as watching the celestial objects to predict events, doing astronomical calculations, revealing the will of the gods, and sacrificing the victims for gods etc. Confessions were heard by the priests of Tlazolteotl who also accompanied the warriors to the battleground to hear their confessions. Overall, while the priestly class enjoyed considerable privilege, their lives were also quite hard. Slavery was prevalent in the Aztec society and people from the subjugated tribes went on to become slaves. However, criminals could also be sold into slavery. These slaves worked for the nobles and could buy back their freedom by paying the amount of money their master had paid for them. The children of the slaves were considered free people in the Aztec society. The peasant class at the lowest level was no different from the serfs in medieval Europe. This class tilled the land of their masters for a small amount of produce and could not own any land of their own. Travelling merchants and traders had high respect in the Aztec society and this social status was somewhere between the nobility and the common people. These professional traders were known as “Pochteca” and brought luxury items and exotic goods from faraway lands. They also acted as information agents between different parts of the empire. They were organised into guilds which were tightly controlled and they lived in their own neighbourhoods. Just like everyone else in the Aztec Empire, the traders were also trained as warriors. The Aztec people were a group of multi-ethnic people mainly dominated by Mexica people. These people spoke Nahuatl and inhabited the region of Central America. The Aztec society was a class society with the three classes of nobility, common people, and slaves. Every Aztec man was given basic military training since Aztec empire was a military empire which highly valued warriors. Women in Aztec society were subordinate to men and were responsible for keeping the home.